Intex Aqua S3 was launched in June, 2017. Intex Aqua S3 features a 5.0-inch HD, IPS display with 1280 x 720 pixel resolution (294 ppi). Intex Aqua S7 comes with 2GB RAM and 8GB storage. It is powered by a 1.3GHz quad-core processor. Intex Aqua S3 runs on Android 7.0 Nougat. Intex Aqua S7 features an 8-megapixel rear camera with Auto-focus, LED Flash. Intex Aqua S3 features a 5-megapixel front facing camera with selfie flash. Intex Aqua S3 has a Li-polymer 2450mAh battery. Sensors on the Intex Aqua S3 are: Proximity and Light Sensor, Gravity Sensor. Connectivity options include: Wi Fi 802.11 a/b/g/n, WLAN IEEE, Bluetooth: BT4.0. Dimensions of the Intex Aqua S3 are: 146.5 x 73 x 9.8mm and weighs just 165 grams. 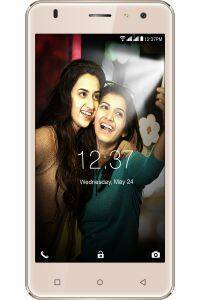 Intex Aqua S7 comes in one colour options — Champagne colour. Intex Aqua S3 is priced at Rs 5,777.